A new sound-proof auditorium is in the works for Priyanka Gandhi. 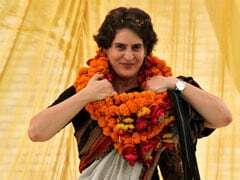 Freshly painted walls, a new sound-proof auditorium, Victorian-style furniture and much more await Priyanka Gandhi Vadra, who has finally made her political debut as Congress general secretary in-charge of eastern Uttar Pradesh. 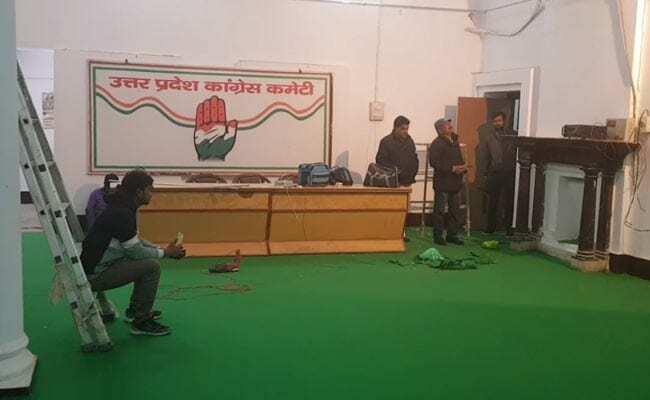 The over 125-year-old Congress office in the state is undergoing major changes to welcome its new occupants, including Congress leader Jyotiraditya Scindia, who will be in charge of western UP. Priyanka Gandhi Vadra, who is married to entrepreneur Robert Vadra, joined politics this week after years of speculation. Her older brother and Congress chief Rahul Gandhi said she had been reluctant to take up politics full-time because she wanted to focus on her two children. Priyanka Gandhi may have officially joined the party now but she had been participating in key decisions for years. She has also been in charge of the constituencies of her mother Sonia Gandhi and brother -- Raebareli and Amethi. Congress spokesperson Zeeshan Haider told NDTV that renovation had been on for some time, but they were unaware of the big announcement. 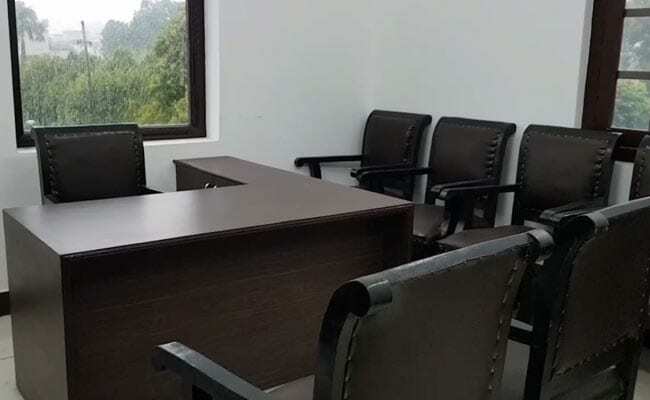 "Whitewash and restructuring of the offices had been going on, new furniture, green leather seaters equipment were being ordered, but we didn't know that it was being done for Priyanka Gandhi ji. After the announcement, we all feel very happy. The Congress cadre, not just in the state but in the country, feel recharged. We are looking forward to working with her," Mr Haider said. The media department has been restructured and new spokespersons have been inducted. The Congress office has retained much of its old-world charm, but it will now have a state-of-the-auditorium for party meetings as well as press briefings. The building, which has the office of UP Congress chief Raj Babbar, is getting a professional makeover, said Rajiv Bakshi, media in charge, UP Congress Committee. Posters, hoardings carrying life-size images of Priyanka Gandhi with senior party leaders have sprung up around the office. Victorian-style furniture now occupy the high-ceiling rooms of the 125-year-old building. Besides cosmetic changes, the media department has been restructured and young spokespersons have been inducted into the party. 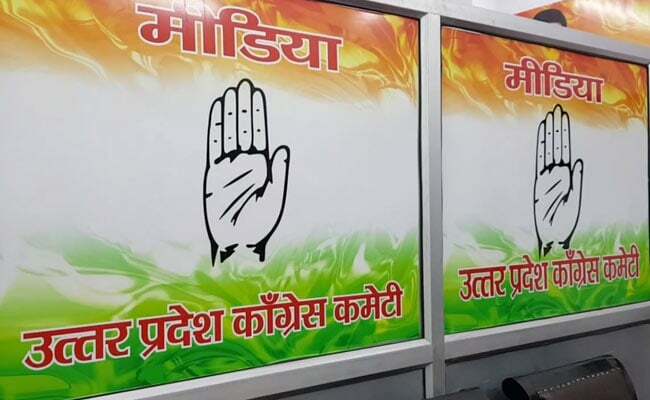 In June last year, the Uttar Pradesh unit of the Congress had conducted a written test and interviewed candidates for its new media team, a model that the party had earlier tried in Gujarat and Karnataka. At least 65 Congressmen, including some of those who have previously been the party's spokespersons, had taken the test which asked 14 questions on the party's poll percentage and the number of seats the party won in previous elections among other things. In the final round, the shortlisted candidates were interviewed by Priyanka Chaturvedi and AICC social media coordinator Rohan Gupta.